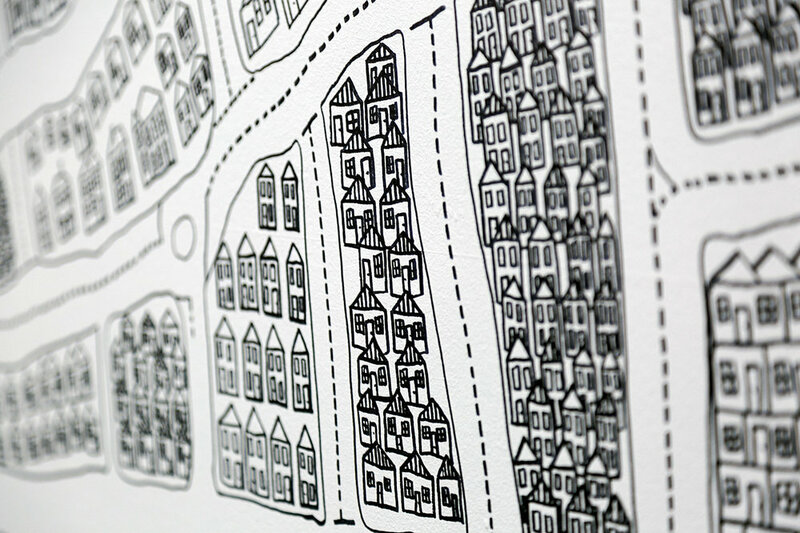 This exhibition at Richmond Library is a site specific installation featuring wall drawings and a selection of the artist's works from City of Yarra's Contemporary Art Collection. The works are devoid of colour, which may be interpreted in parts as heavy and bleak, or light and hopeful. Childlike and naïve stick figure drawings exist throughout the work giving the impression of (somewhat) lighthearted playfulness. 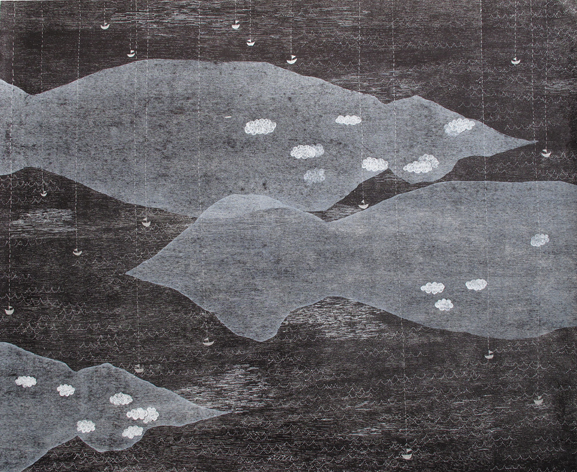 The plywood background of woodblock prints invoke the land-based structure of trees, contrasting against the drawn images of the boats and sea. Pathways of people float over the topography of the earth, ocean and sky. Are all these places able to exist above, below, behind and next to each other, all together at the same time? 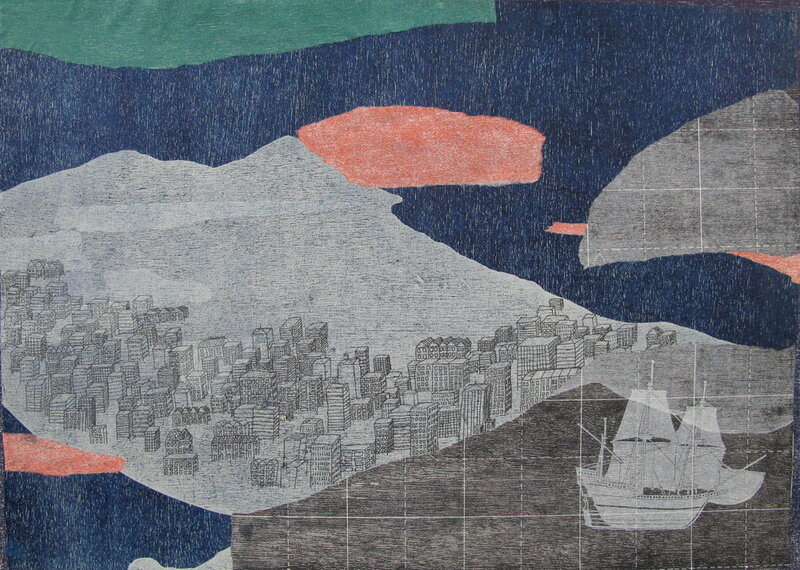 This work aims to explore settlement, migration and belonging, while also questioning the idea of home. Solo exhibition with Gaffer Ltd, at Art Central Art Fair in Hong Kong. Coinciding with Art Basel. 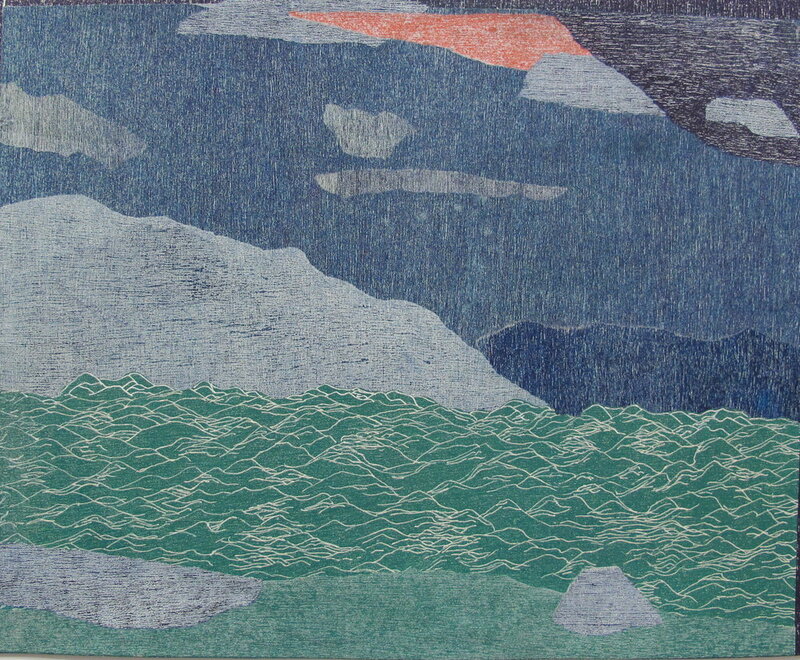 Traditional woodblock prints encased in acrylic framing captures and intensifies the fragility of the landscape. Until 16th March 2015. "These ethereal works convey a succession of bleak mountainous forms, punctuated with diaphanous layers that shift and fluctuate across the picture plane. "Constructed with undulating scrolls of rice paper encased in perspex, they are at once, compelling in their fragile beauty but also vaguely menacing. This is exactly as the artist intended: deforested and uninhabited, WONG’s scene envisages the ghostly premonition of some future dystopia after a catastrophic environmental disaster.